April 20th is the biggest day of the year across the cannabis industry. To celebrate, Reef Dispensary is kicking off REEF 4/20 WEEK, which will run Monday, April 15th through Saturday, April 20th, 2019. The week will be loaded with discounts and deals. Details are below. 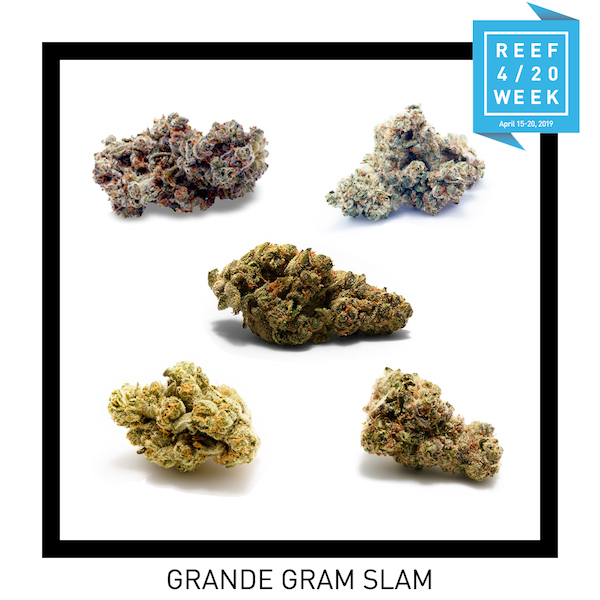 We’re super-sizing our classic “gram slam” combo deal for Reef 4/20 Week with the Grande Gram Slam! Mix & match five grams of select flower (Mimosa, Sundae Driver, Gelato, Pie Hoe, Roze, Nigerian Mint & Banana Fire OG) for the price of a Black tier eighth ($25 tax-inclusive). This offer is valid April 15th-20th, 2019. 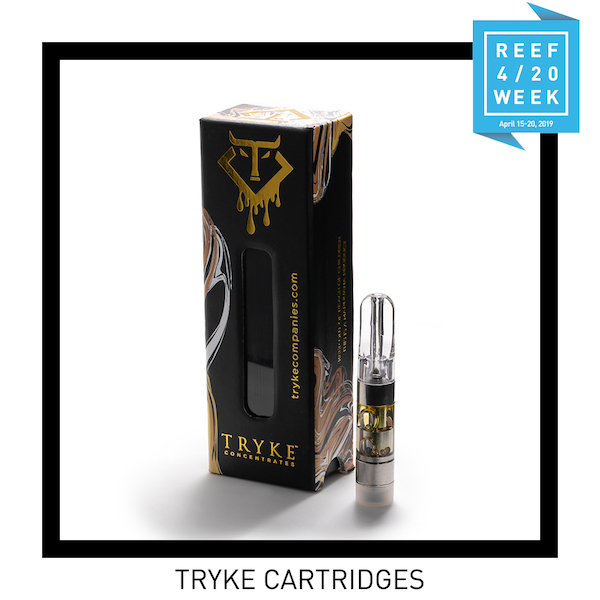 All standard Tryke Cartridges (excluding Khalifa Kush) 2 for $40! This offer is valid April 15th-20th, 2019. Load up on Platinum and Diamond prerolls, marked down to $6 each, all week long! This offer is valid April 15th-20th, 2019. 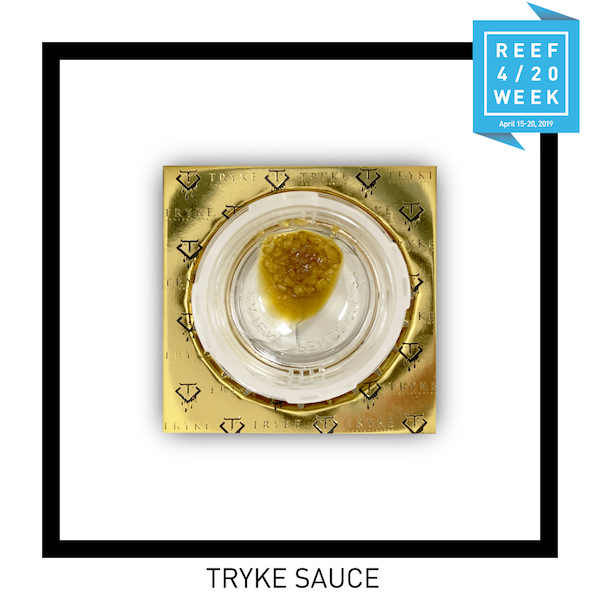 Attention concentrate connoisseurs, Tryke Concentrates sauces will be buy 1, get 1 free all week long. This offer is valid April 15th-20th, 2019. 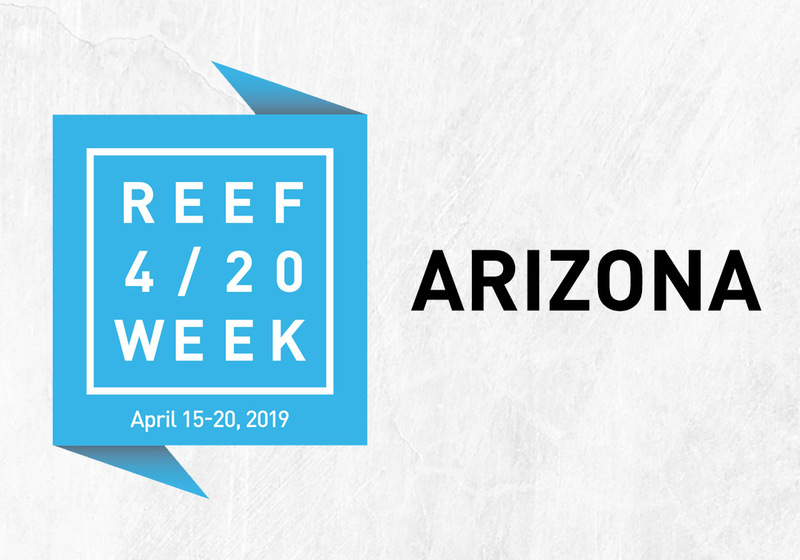 All of your favorite Arizona cannabis brands will be marked down 25% every day during Reef 4/20 week. 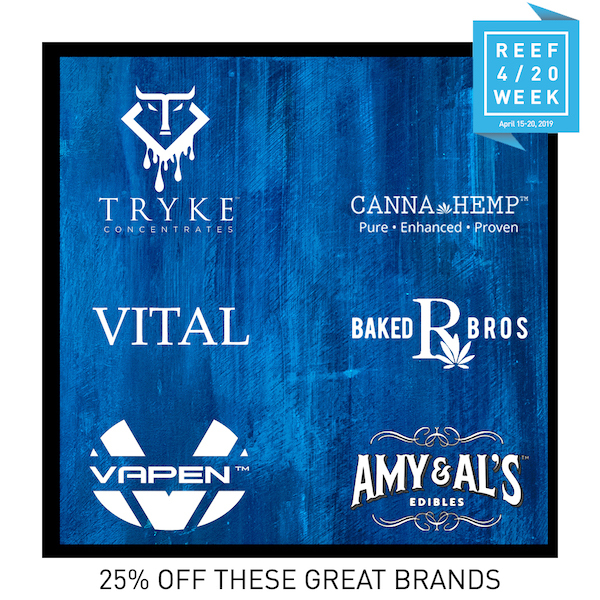 Save 25% on each Tryke Concentrates, Vital, Amy & Al’s, Baked Bros, Vapen and Cannahemp. This offer is valid April 15th-20th, 2019. Please note, the menu prices will include the discounts factored in. 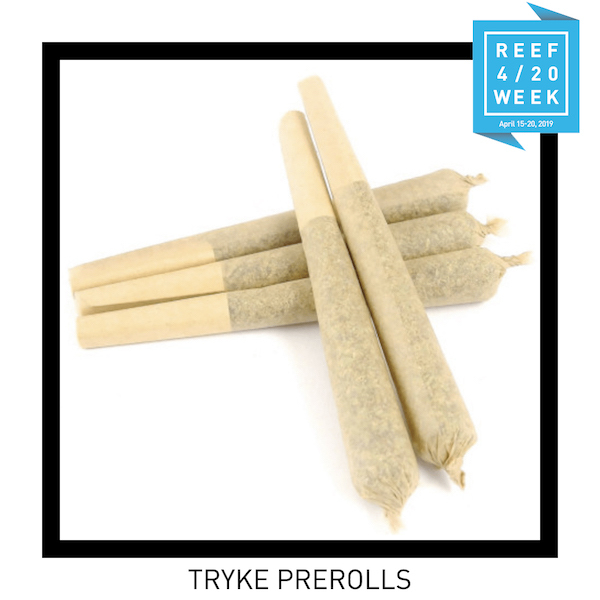 – Win an Ounce: Opt-In for Reef Alerts at any Arizona Reef location and be automatically entered into a drawing to win an ounce of Tryke flower or gift baskets from CannaHemp, Linx, Grav Labs, and Raw. – Phoenix: On Saturday (4/20), free slices of pizza starting at 11AM. While slices last. – Queen Creek: On Saturday (4/20), from noon to 3PM, Buddy’z Pizza will open early to provide free slices of pizza for Reef patients with any purchase (limit 200 slices). – Vendor pop-ups will take place all week long at both Arizona locations. – Please note: Deals do not stack with Tryke Tuesday.